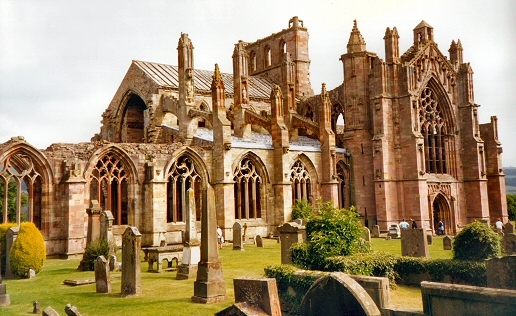 Description: Melrose Abbey as we see today was rebuilt in 1385 after King Richard II burnt the original building, a Cistercian abbey founded in 1136, to the ground as revenge for an attack by the Scots. 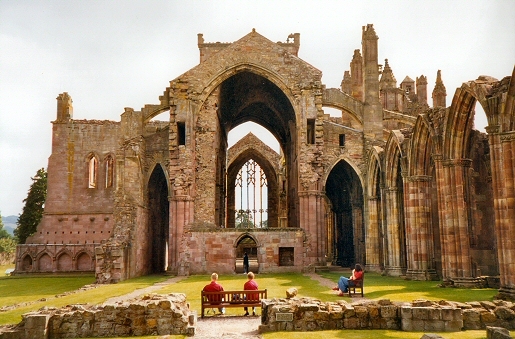 Todays ruin is regarded as the most famous in Scotland with elegant stonework and window frames. It is owned by Historic Scotland. Description: The buildings still standing date from the 15th century and host the burial place of Robert the Bruce's heart. 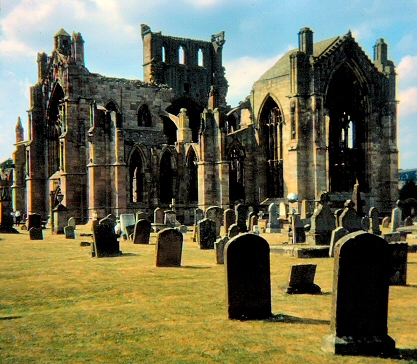 Some of the abbey was restored by Sir Walter Scott in 1822. Description: This view shows the east face of the abbey.